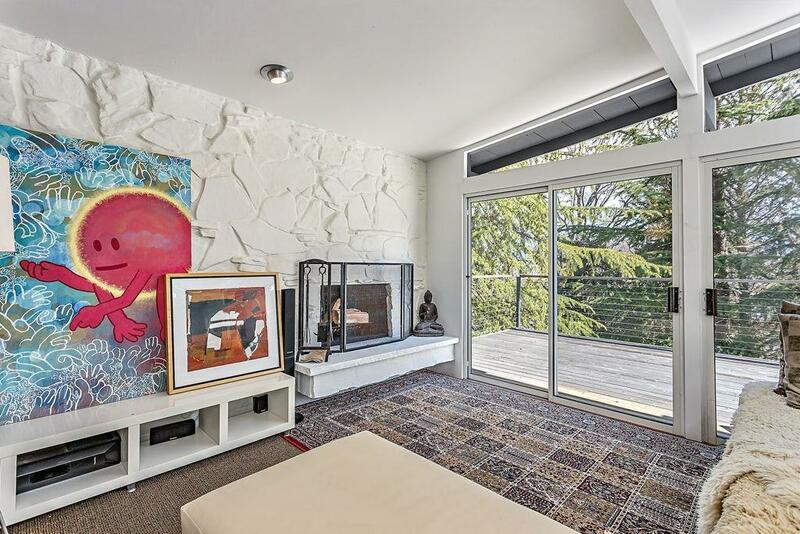 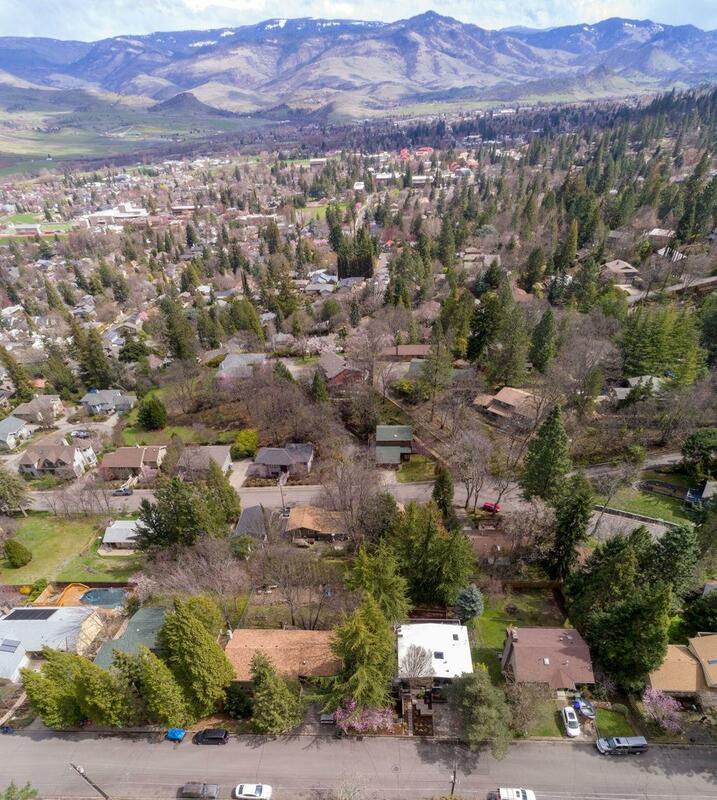 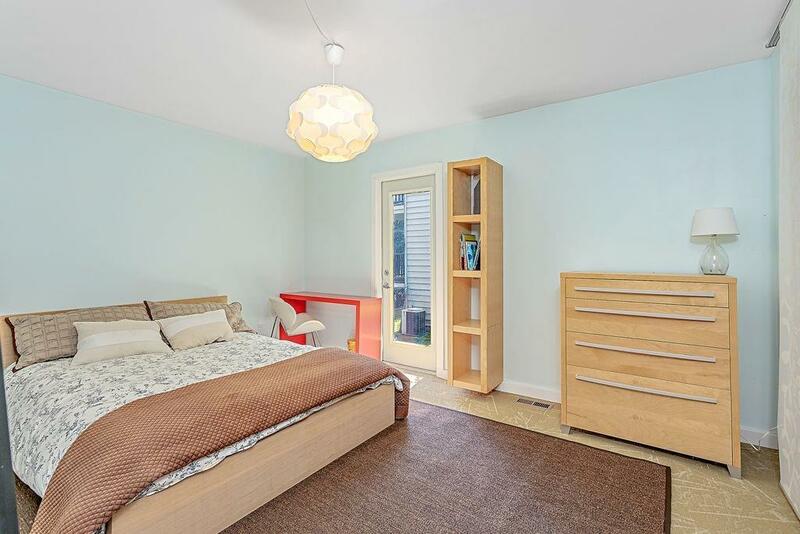 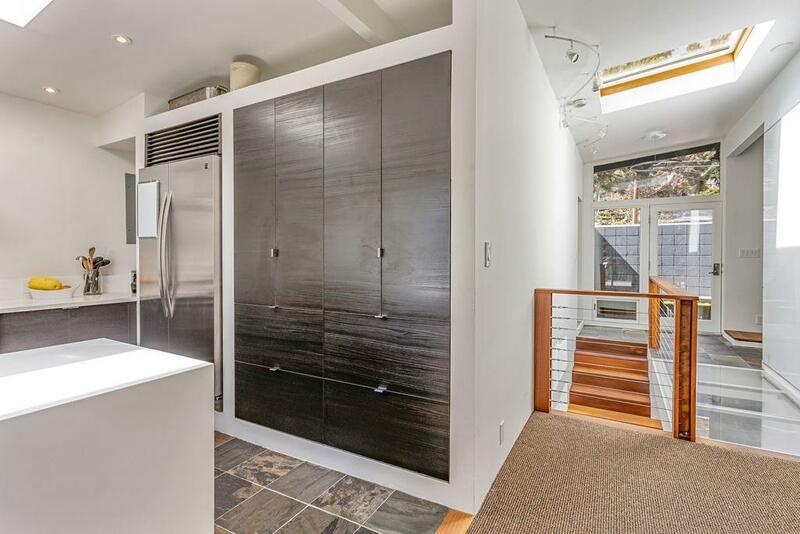 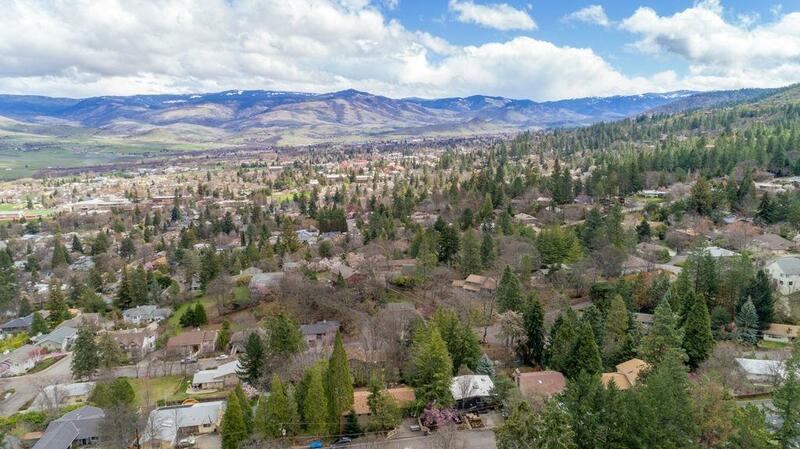 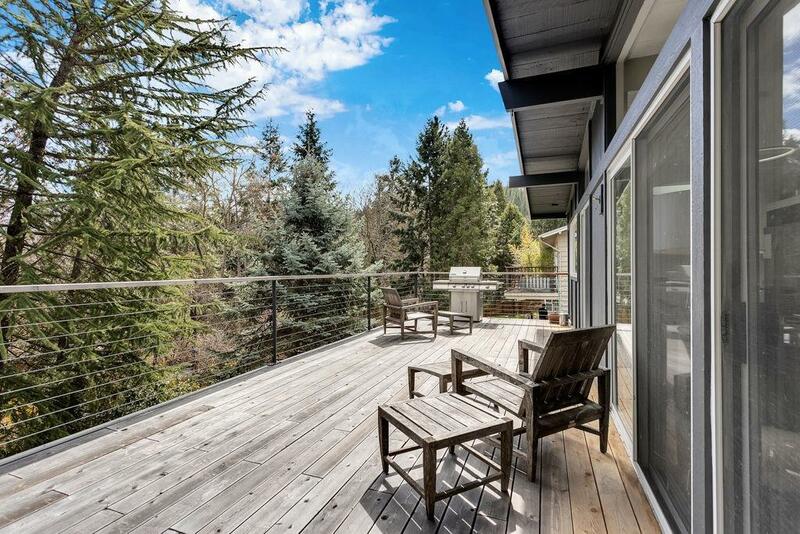 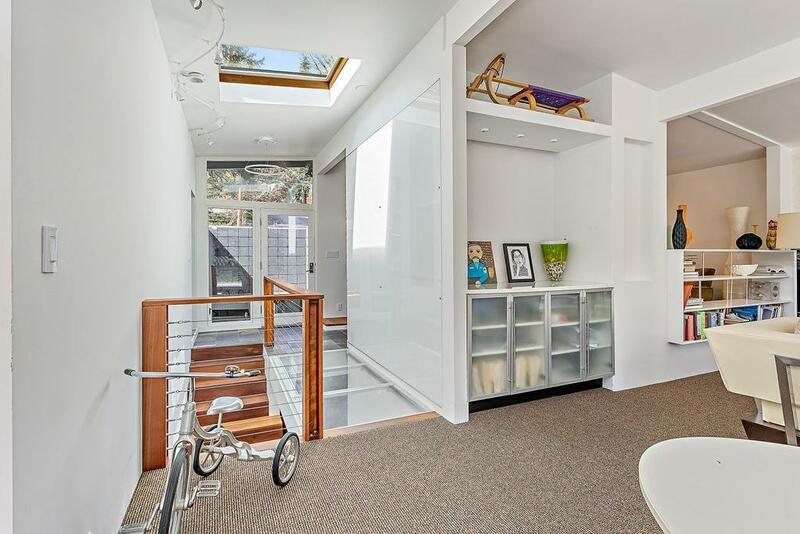 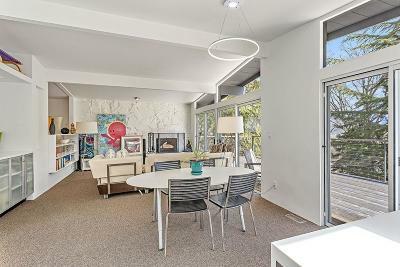 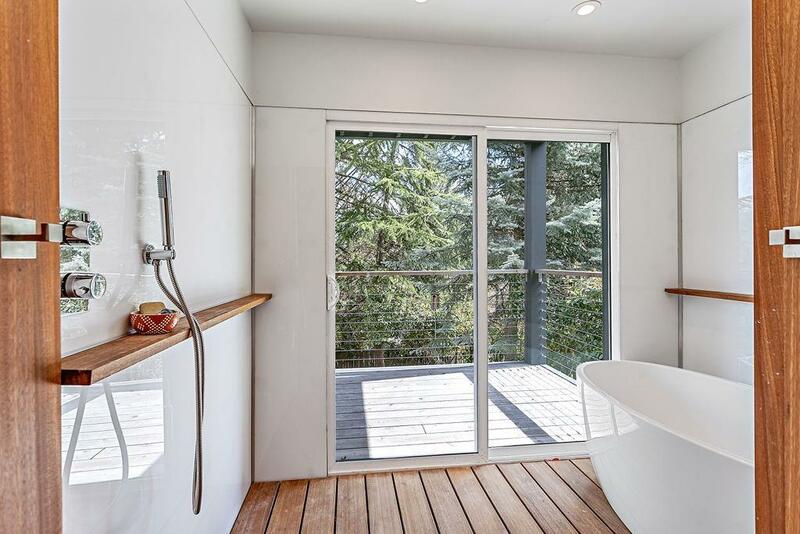 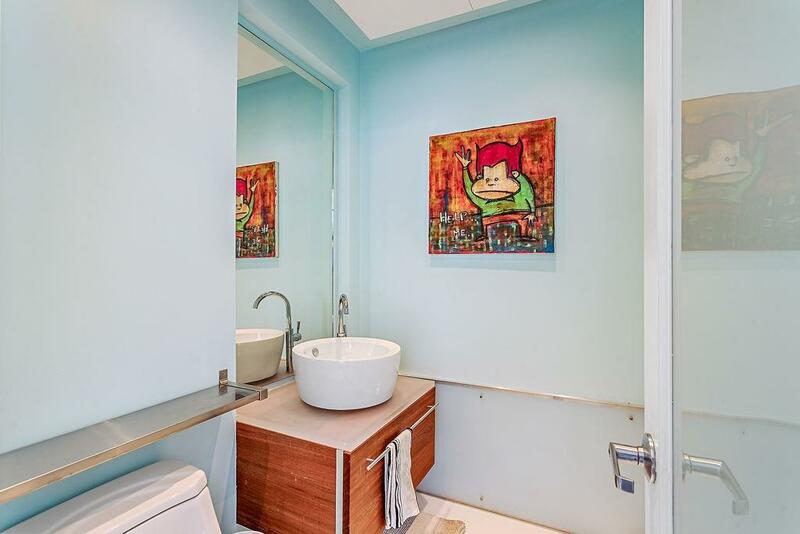 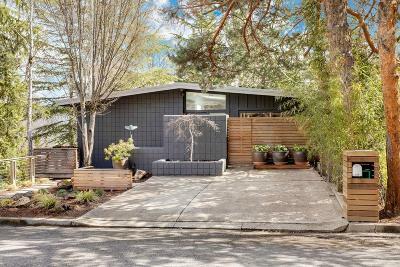 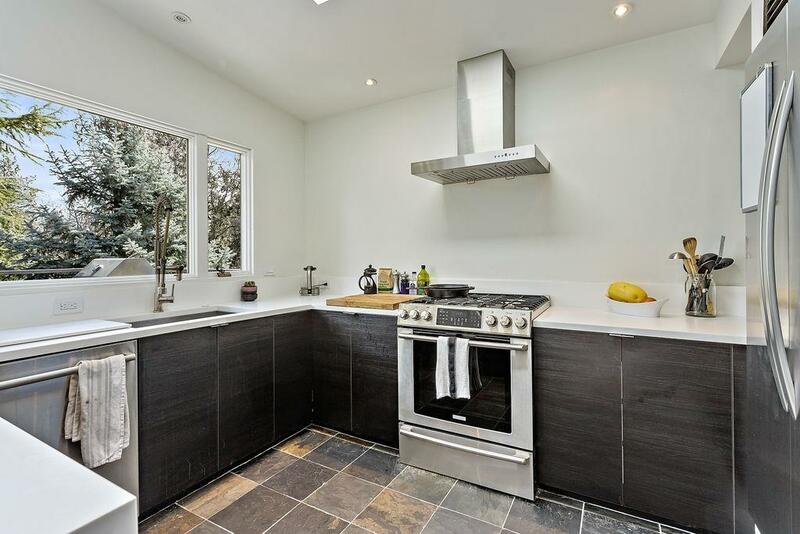 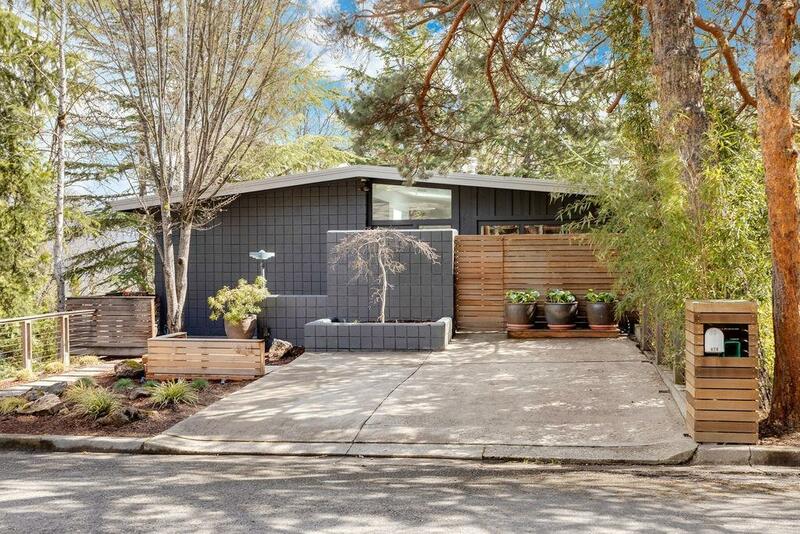 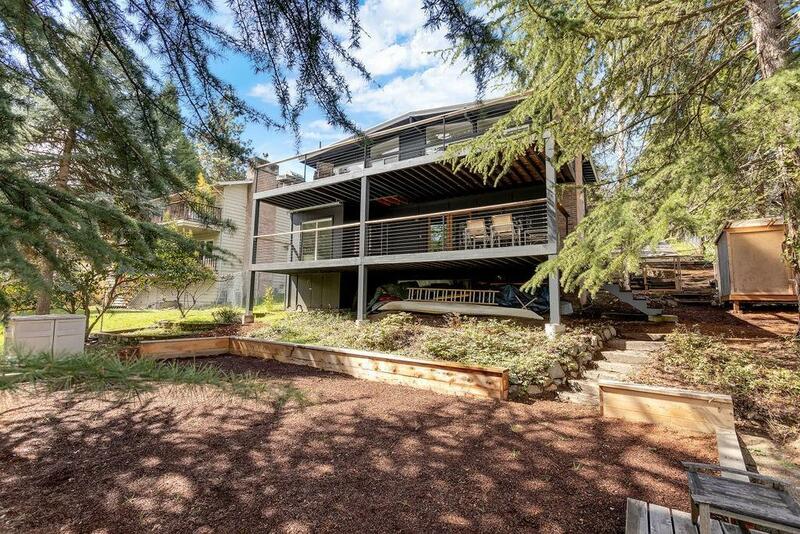 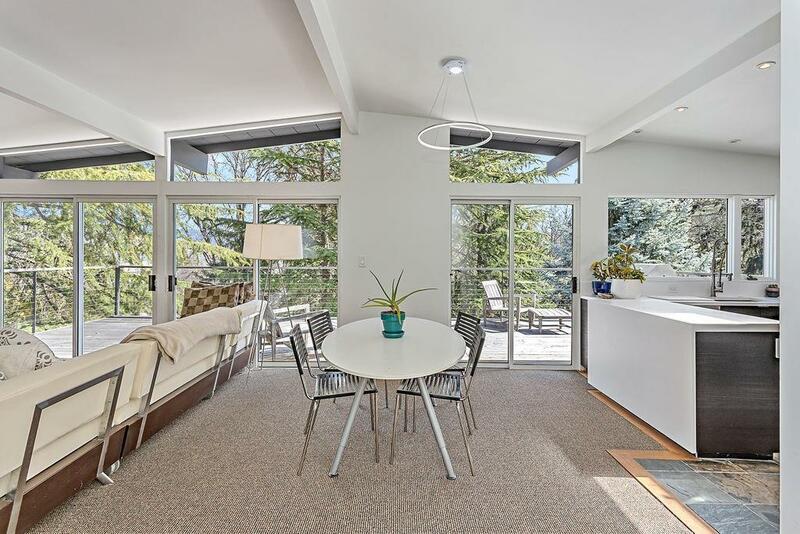 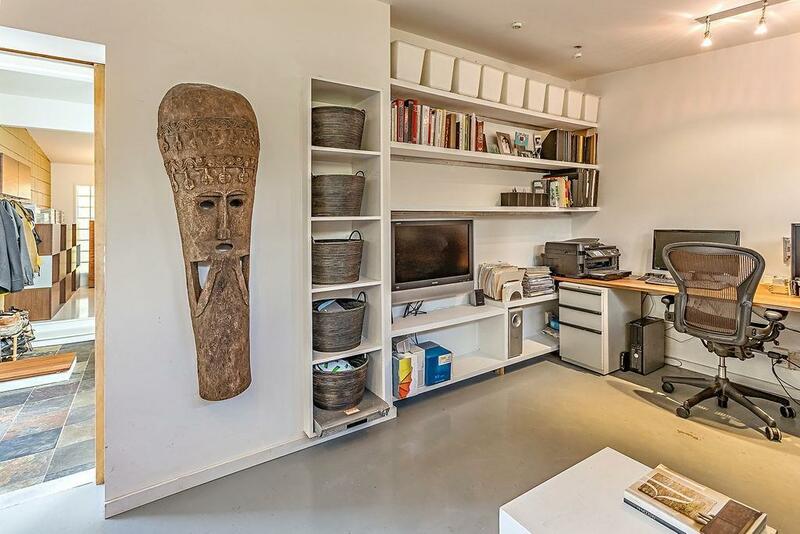 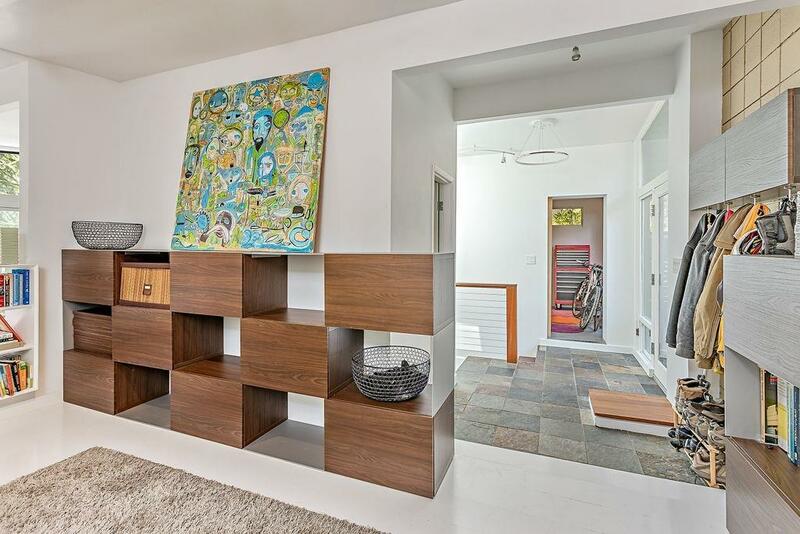 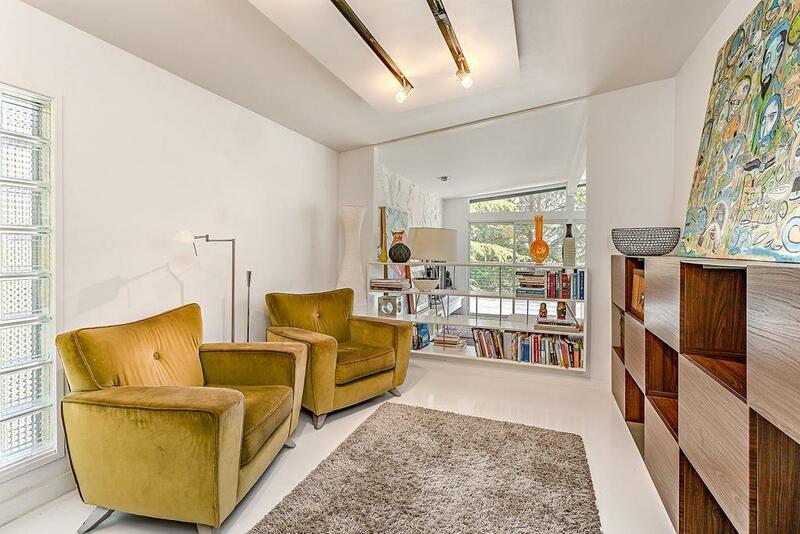 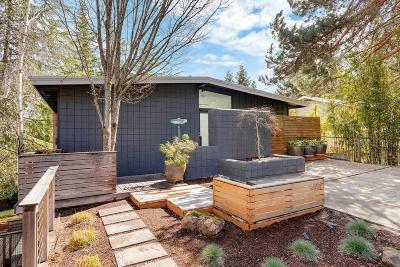 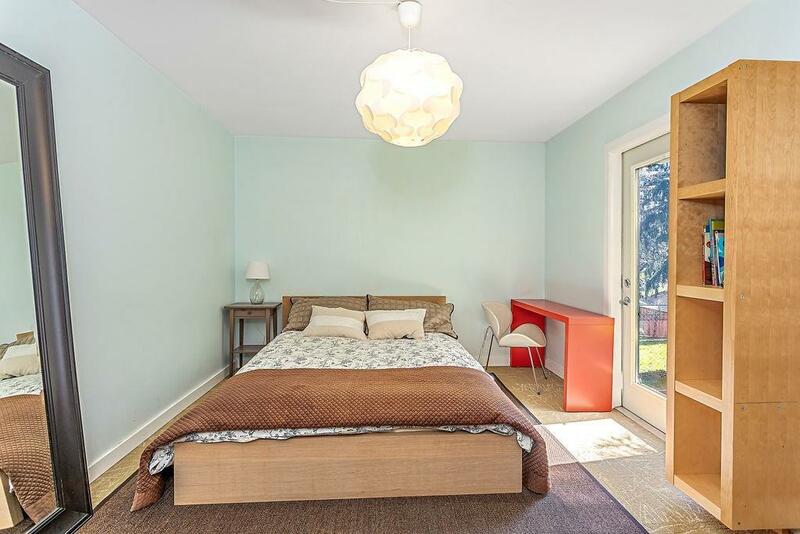 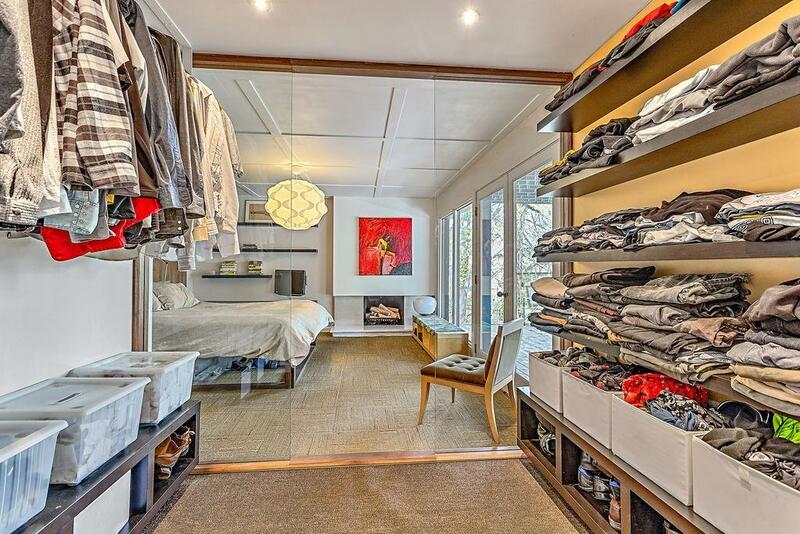 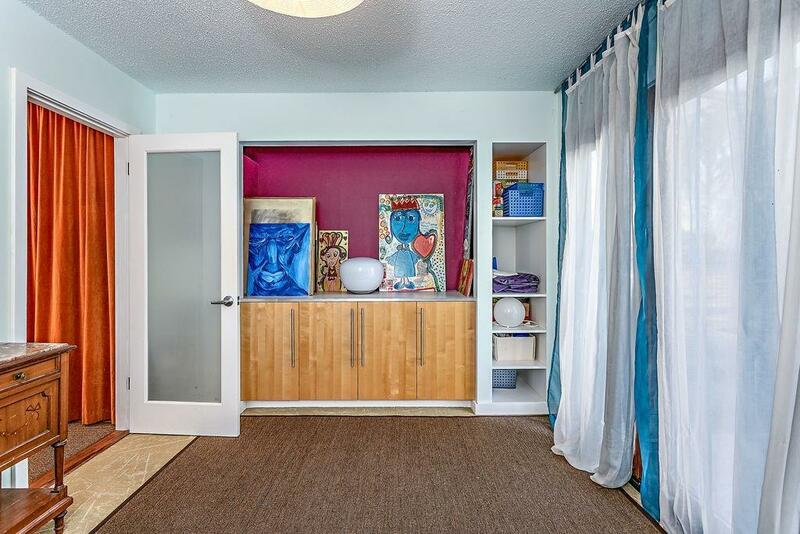 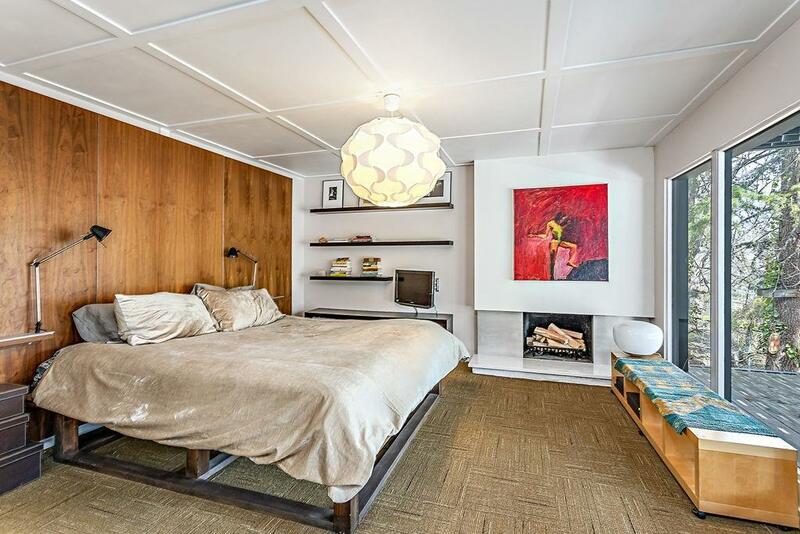 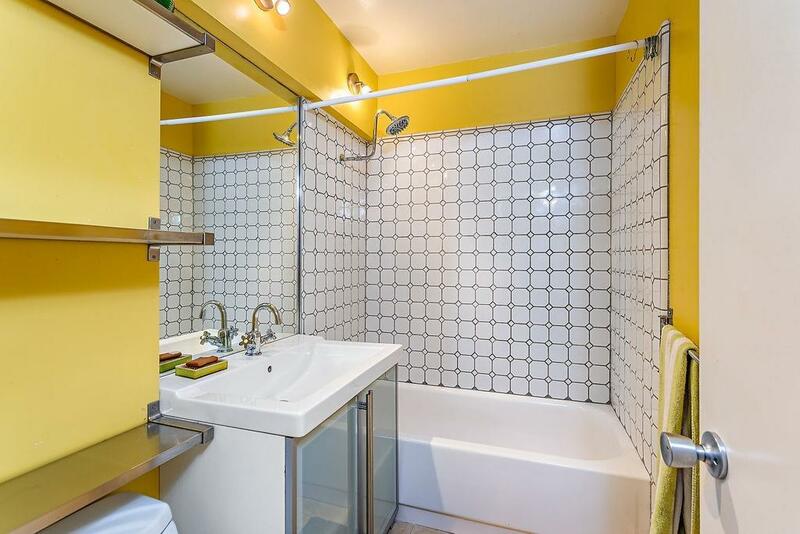 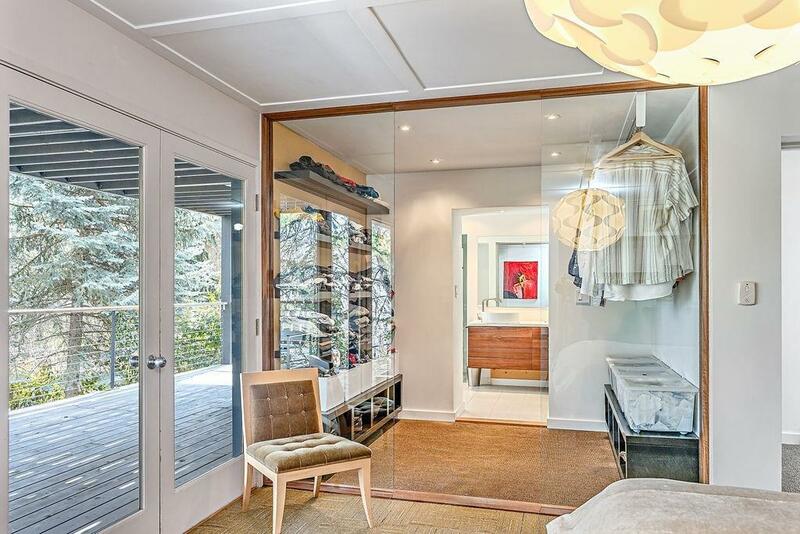 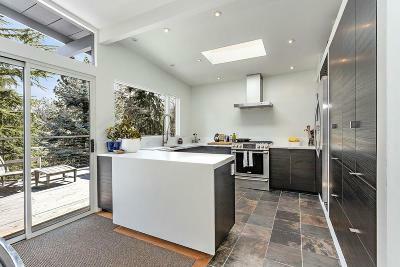 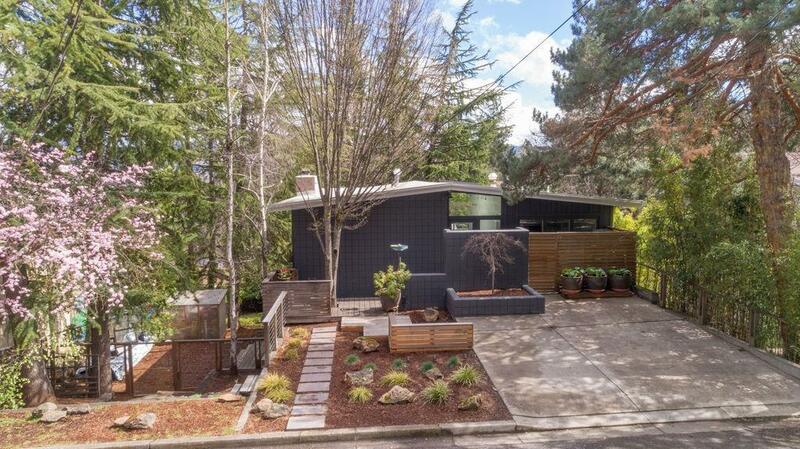 Artists dream of a mid-century modern home only a 5 minute walk to Lithia Park is finally here! 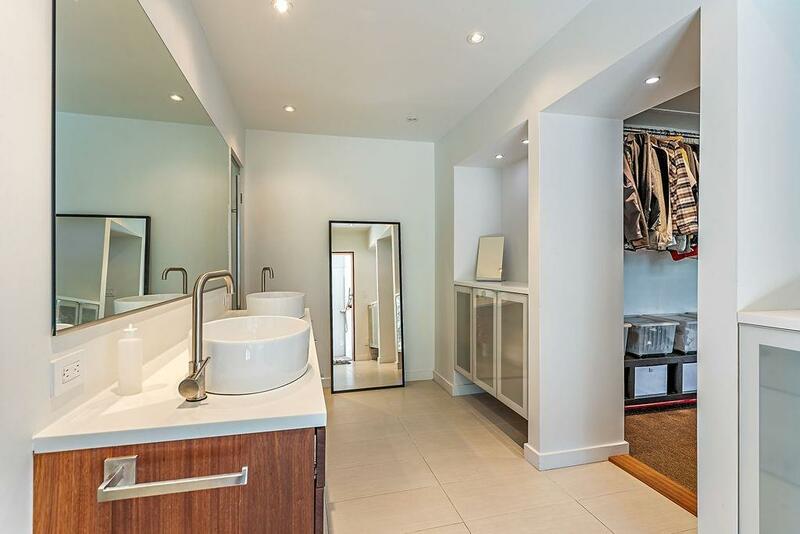 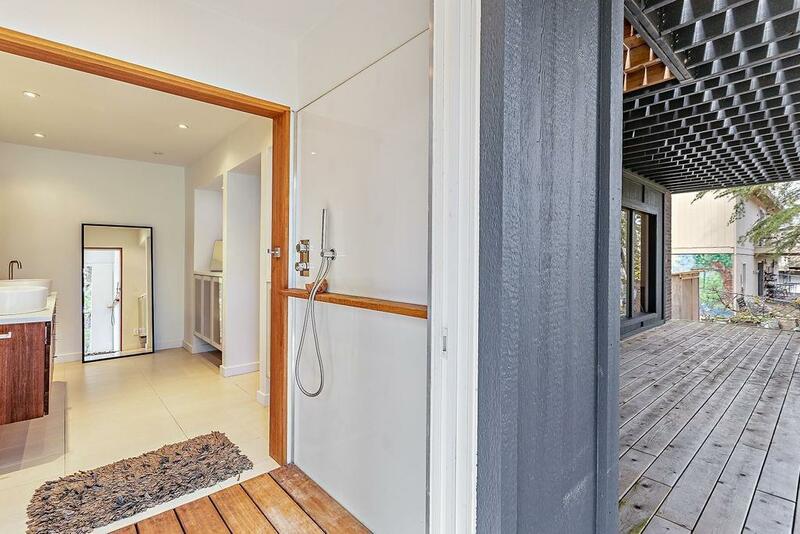 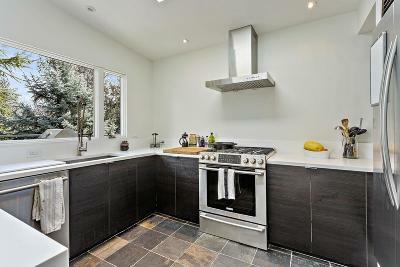 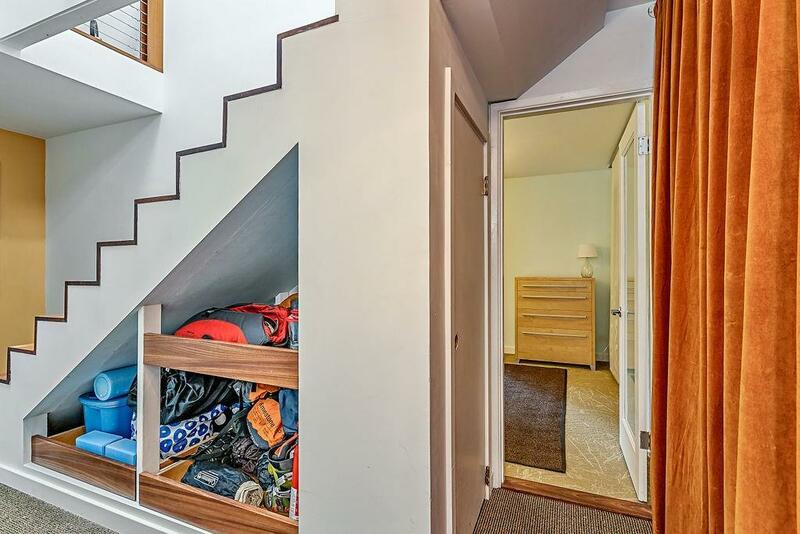 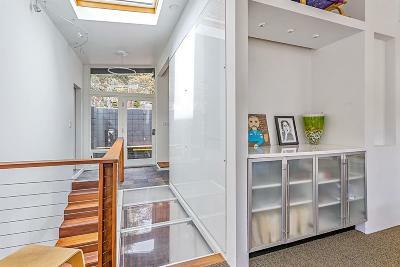 This tastefully renovated home features 3 bedrooms, a living room, library and an office, all revamped in 2017 w/ a full kitchen upgrade featuring a 5-burner gas range, pull out shelving & a window overlooking the yard; all new exterior & interior paint, fully renovated bathrooms, Mahogany stairs, & upgraded light fixtures. 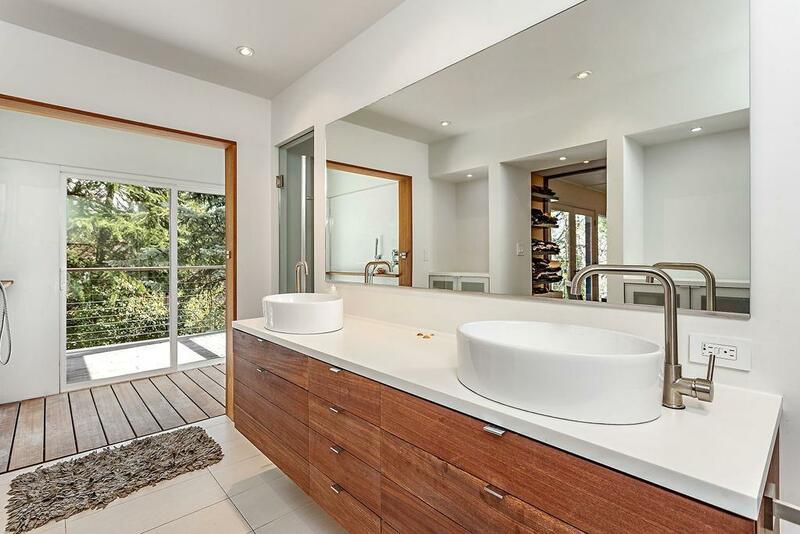 Beautifully done master suite w/ a wood burning fireplace, french doors to the expansive back deck, walk-thru master closet & generous master bath w/ a deep soaker tub, dual shower heads, water closet, dual master sinks, & plenty of storage. 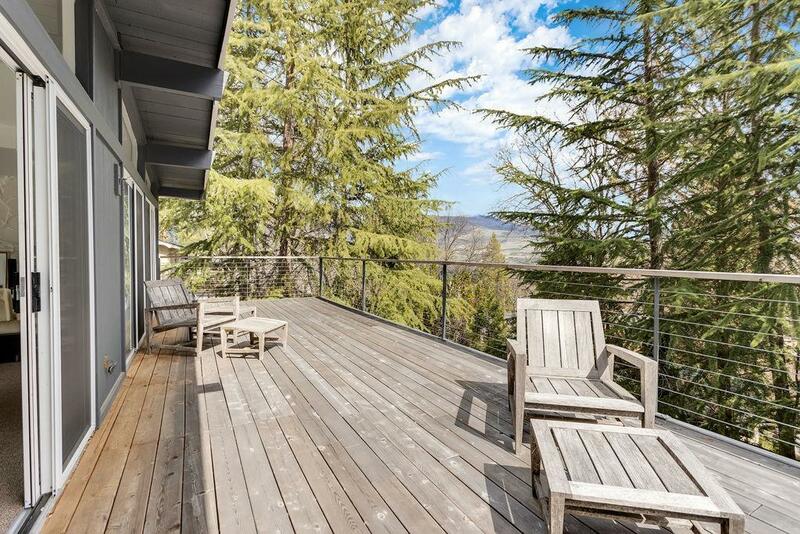 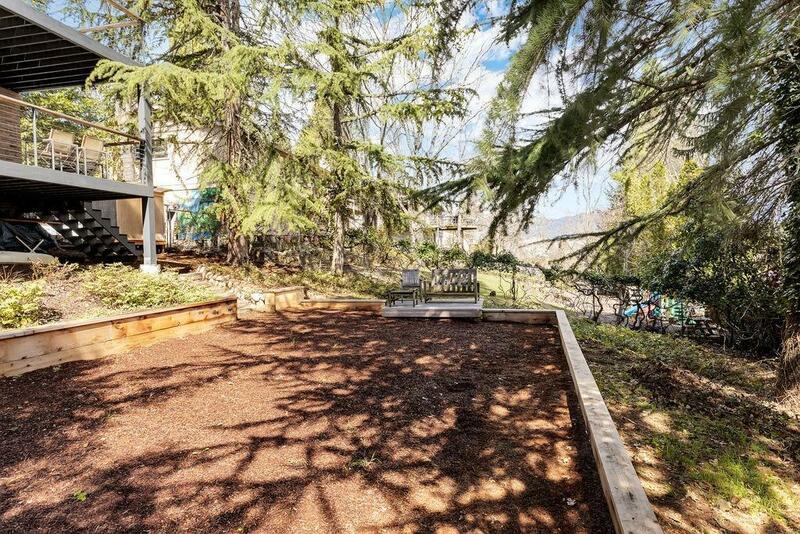 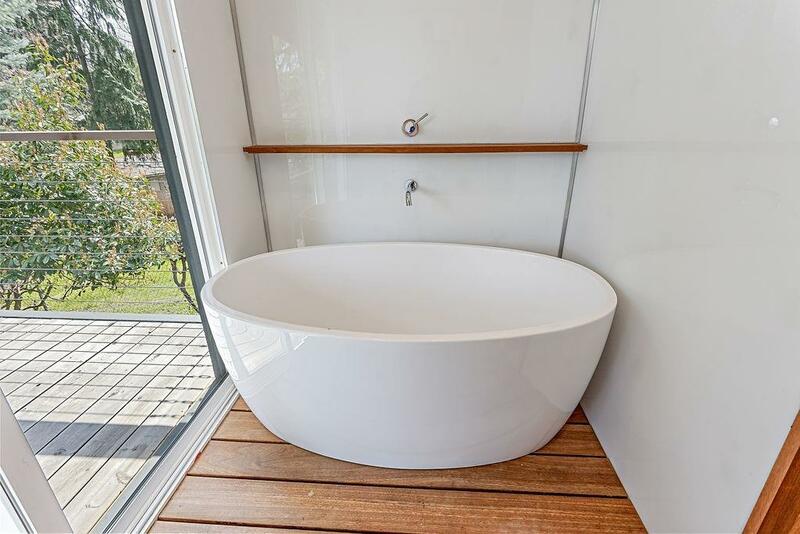 Upper & lower decks are over 800 sf, offering a beautiful view of Grizzly Peak, both spare rooms have their own deck as well. So much sunlight makes this home bright & inviting; and the many unique touches can't be found anywhere else. 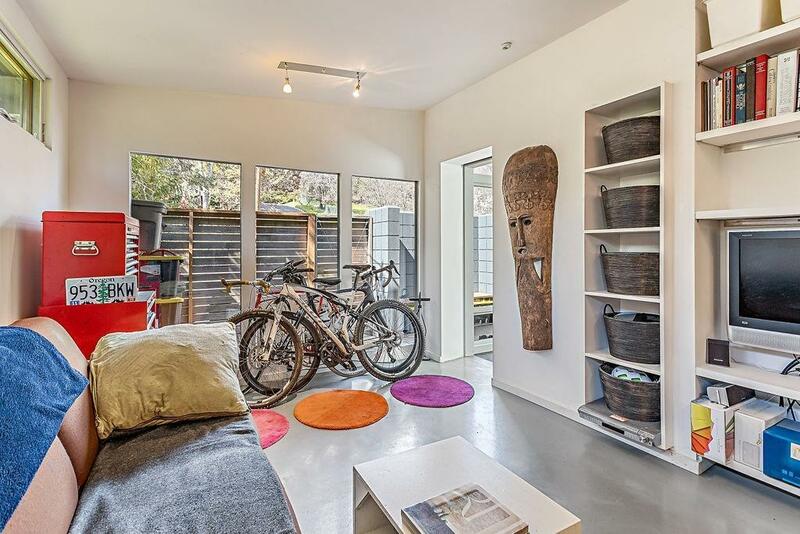 This is truly the epitome of an Ashland home.